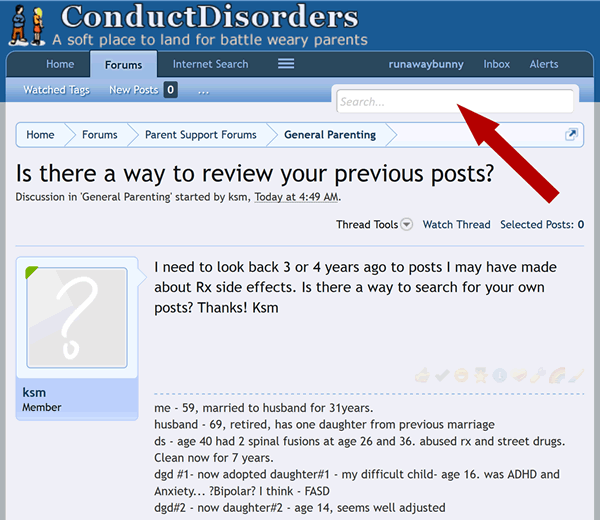 Search Member Posts | ConductDisorders - A soft place to land for battle weary parents. Search for a member's posts. 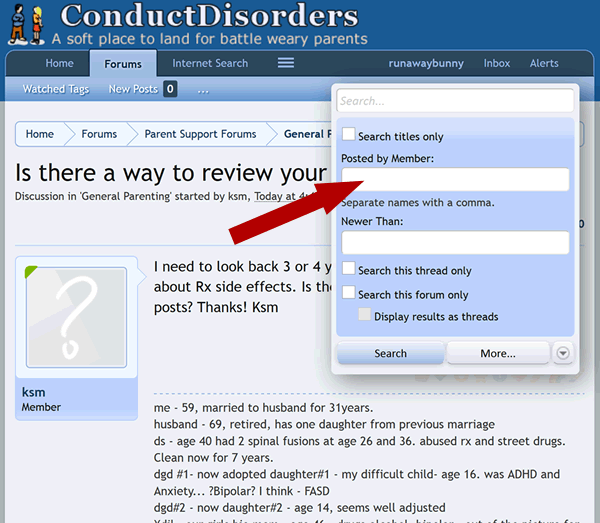 There are a few ways to search for your own or another member's posts. 1. Click in the search text box in the upper right corner. 2. Enter your username in the Member box. 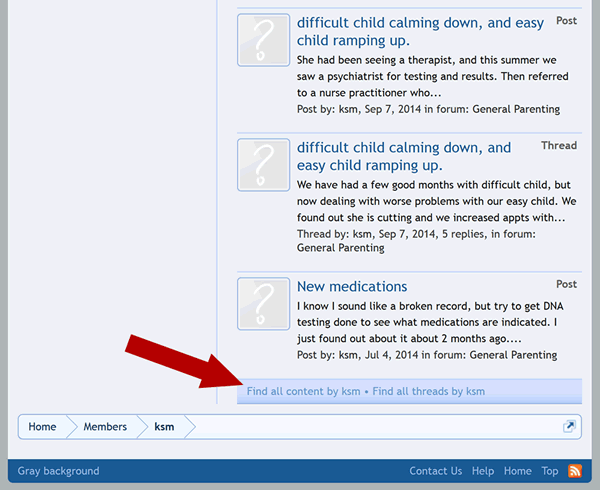 Make sure to uncheck the "Search this forum only" check box. 1. Go to your profile and select the Postings tab. 2. Scroll down to the bottom of the page and click on Find All Content.